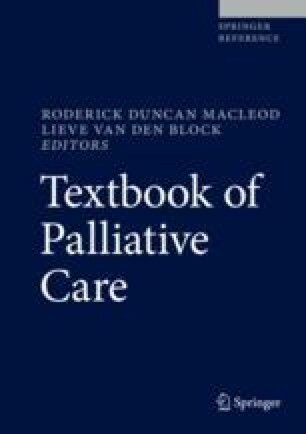 An indigenous perspective of palliative care is not commonly known. The aim of this chapter is to describe key caregiving strengths of New Zealand Māori whānau (family) to illustrate how they draw on their cultural customs at end of life. Cultural customs are informed by knowledge passed down from tūpuna (ancestors) and the relationship with the whenua (land). End of life cultural care customs ensure the highest quality of care is provided to the ill and dying person and their bereaved whānau. Whānau are critical “pou aroha” (care stalwarts); they carry out the bulk of end of life care. Whānau ensure the best physical, emotional/mental, and spiritual care is received before the person dies, no matter what healthcare setting they are in. A holistic healthcare approach is required at this time as this supports whānau cultural aspirations to prepare the person’s spirit to pass through the ārai (veil) as they transition from the physical realm to the metaphysical realm at time of death. The chapter highlights the need for care that is genuinely holistic and relational as this is most likely to meet the needs of indigenous peoples. The facilitators and barriers associated with providing care are discussed within the context of a set of complex end of life circumstances. Barriers include health inequities, racism, poor access to palliative care and statutory (government) support, inadequate information, and poor communication. Whānau carers often experience high levels of stress and have too few informal family carers to share the care responsibility and the high financial costs associated with end of life care (Gott et al., Palliat Med 29:518–528, 2015a). However, the values of aroha (compassion, empathy, concern), whanaungatanga (relationships and connections), manaakitanga (caring for the mana (status, prestige, authority)) of the dying, kotahitanga (collective decision-making processes), and wairuatanga (spirituality) are introduced as guiding forces that protect and strengthen whānau carers.